Eva is currently working as Project Manager for the United Nations Development Programme (UNDP Moldova). Being a young leader professional in the field of Democratic Governance, Eva is continuously improving her abilities in designing, implementing and monitoring projects funded by international donors, aiming at facilitating partnership building among central and local government, public institutions, political parties and civil society organizations. 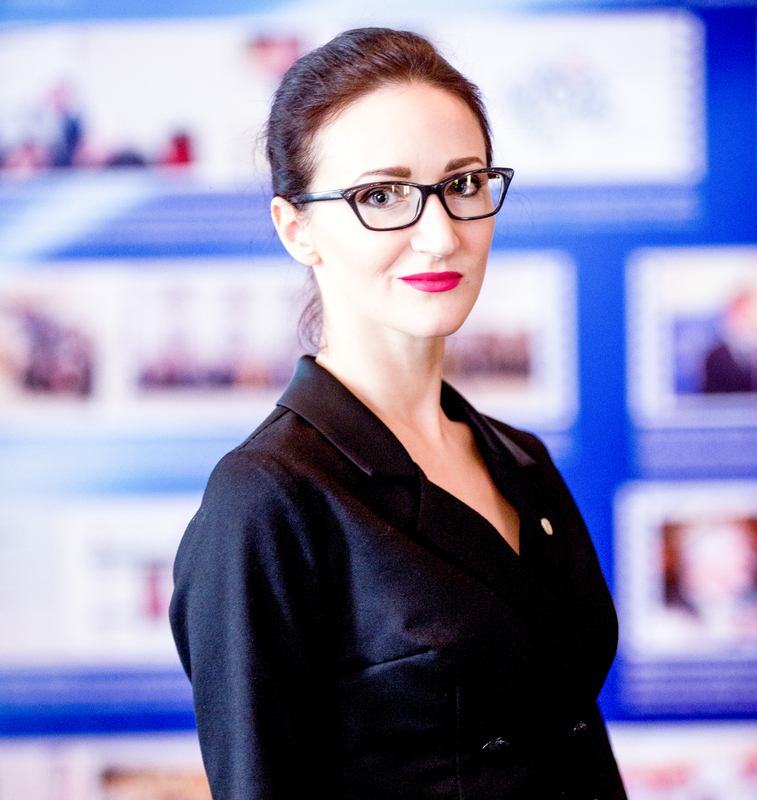 In 2009, Eva obtained her Bachelor Degree in Political Science, being one of 25 students that received a Medal of Excellence as best graduate student, offered by the President of the Republic of Moldova. In 2011, Eva obtained her Master’s Degree in Political Regional Studies, early in her career promoting actively think-tanks projects, innovative trainings and non-formal education for youth. Besides of being pragmatic, results-oriented and straightforward young professional, Eva has strong life values, such as honesty, respect, responsibility, kindness and perseverance. As she declares, the key to success is the beautiful balance between mind, body and soul, when what you think, what you say and what you do is in harmony. Her hobby is photography.